I woke to a grey morning on the Pacific earlier this week. As the sun rose, its light diffused across the dull silver clouds and carried on to the waves rolling in. In these images I stretched some of these waves out with longer exposures (1/30 to 1/2 seconds) and swung the camera around a bit just to play with the idea a bit more. Amid the abstract work, a few seals skimmed by. 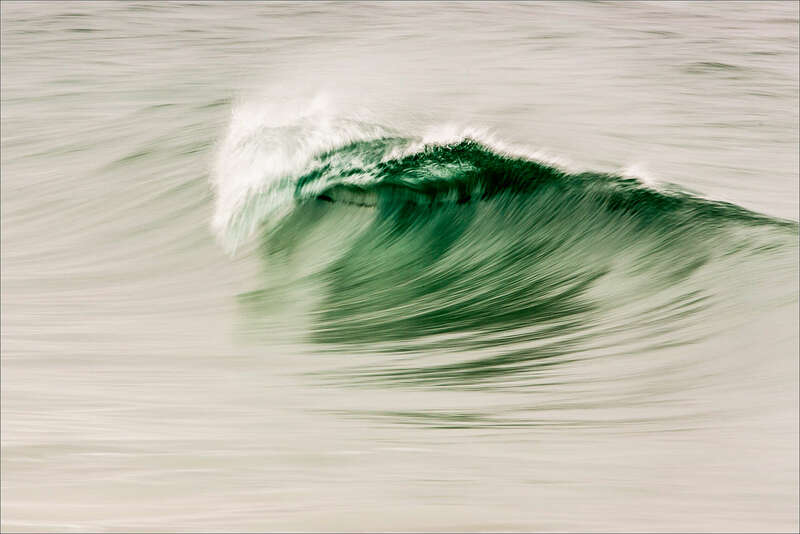 One of these glided inside a wave as it rolled into shore – which was fantastic to watch. I hope to share images from those encounters as well as a few with Brown pelicans from the same morning soon. This entry was posted on April 4, 2013 by Christopher Martin. 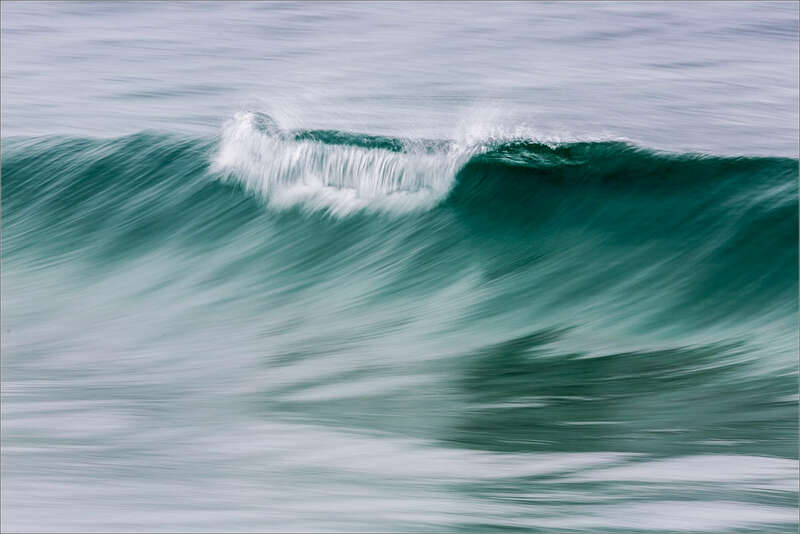 It was filed under Abstract, Water and was tagged with Aliso Beach, California, Laguna, motion, nature, Pacific Ocean, panning, photography, seascape, USA, water, waves. Love this! Looks like a painting. Thank you – they were very cooperative models. In Adobe’s Lightroom 4, I used the contrast and vibrance adjustments to finish these photographs. I also increased the saturation in the first image to bring out the purples that were very subtle in the file straight out of the camera. For images where I need to widen the tonal range, I use the highlights and shadows adjustments in Lightroom. in LR 4, these are very effective at recovering highlights and brightening dark areas in a way that does not push the image further than I like. Many people stack multiple images and use software like Nik and Topaz to process HDR images. I like the work that some photographers create with these but I rarely use them myself. If I need to do more work on an image than Lightroom can handle, it is usually more work than I want to put into an image – I’d prefer to be out photographing instead. However, that’s just a personal preference for my own work, I do appreciate what can be done. Wow!! Thank you so much for the tips! I thought these were HDR. I didn’t know how much you can do in Lightroom! Like the abstracts and look forward to the seals. I am inspired to play with longer exposures.Would the purple be seals? 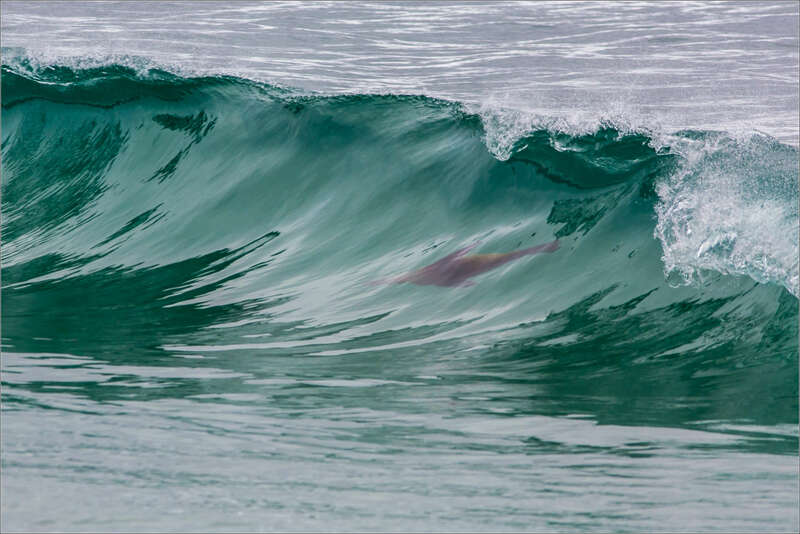 The last image has a seal inside the wave but the other photographs are seal-free. Yes, I like that last one, a nice treat for the photographer and viewer. The photos are beautiful. I particularly like the first one. Wow! The ocean looks like silk. 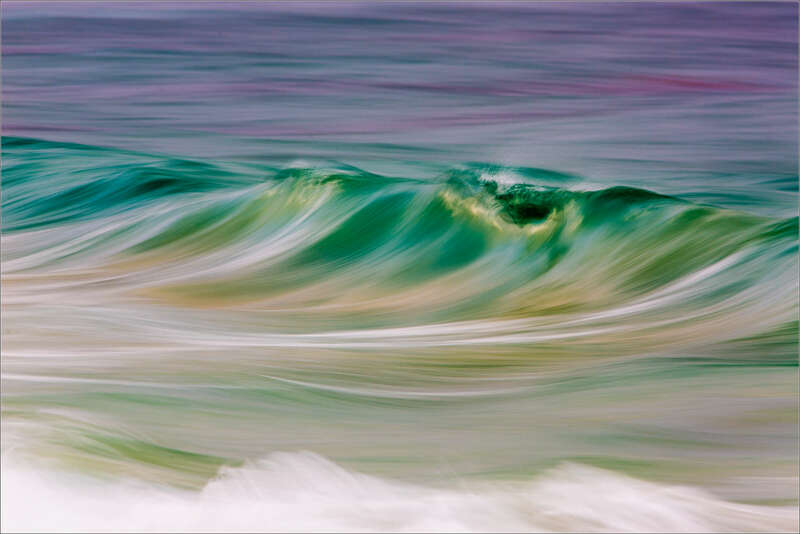 I particularly like the curling waves, and have to ask you how come the water is purple in the first image? All are beautifully done.